In the 1990s, much as today, the most significant barrier to the realisation of an inclusive, pluralistic vision of liberal democracy was the taken-for-granted idea that the national state is the property of and instrument for titular national majorities. Both the EU and their liberal partners in Central and Eastern Europe knew this, yet both opted to accommodate ethnic nationalism at the time rather than oppose it. The EU’s fear that strong ethnically-exclusive nationalism in the region might lead to Yugoslavia-style violence is clear from the document that first laid out the conditions under which the countries of post-Communist Europe would be allowed to join the EU, the Copenhagen Criteria of 1993. This gave top-of-the-page prominence to protecting national minorities. However, as the possibility of actual violence became remote as the 1990s wore on, the European Commission increasingly focused on post-communist applicants meeting economic criteria while turning a blind eye to any remaining democratic deficiencies. New democracies with half-built institutions were routinely declared to be ‘on course’ to meet the political criteria as soon as self-styled reformers squeaked into office promising to work towards the satisfaction of European standards. Liberal governments were obliged to enact laws of non-discrimination and to sign up to the Framework Convention on the Protection of National Minorities. However, although anti-nationalist ideas had once been audible among many dissident intellectuals, a historic opportunity to challenge ethnic nationalist assumptions was missed. Instead, alignment with European standards on minority rights was treated as a necessary evil to be smuggled through legislatures as quietly as possible along with fast track legislation to meet the formal criteria of EU membership. Krastev’s native Bulgaria is a case in point. Under the pro-EU government of Ivan Kostov from 1997-2001 laws were changed and the Convention (on National Minorities) was – after some resistance in parliament – ratified in July 1999. However, the government went to some lengths to ensure that the Convention could not actually be implemented, sacking the salaried staff at the only national agency capable of doing so. On the campaign trail, Kostov skilfully used plausibly liberal language to paint the country’s Turkish minority and their ‘oriental’ ways as obstacles to the national project of ‘rejoining Europe’. In relative terms, Kostov’s Bulgarian government was not at all a problem case. Elsewhere in Central Europe, liberal mainstream parties have actually morphed into explicitly anti-liberal political projects that reject the European norms that got their countries into the EU. The Hungarian Fidesz is a one-time liberal party turned faux Christian Democrat, which is now dismantling the country’s liberal-democratic institutions. The Czech Republic’s one-time Social Democrat prime minister has returned as president to become the region’s leading cheerleader for Donald Trump. But the main point is that the Central European liberal cohort contained not a single party that pursued anything even approaching the German-style liberal anti-nationalism Krastev imagines. A more reasonable analogy to West European politics that captures the central tendency of Central European liberalism at that time might be David Cameron’s conservatism: in favour of civil society in theory, but technocratic in practice; ready to endorse liberal norms and to decry far-right nationalist excess, but appealing to the electorate as it finds it, moderately nationalist when it must be. Not illiberal enough to damage liberalism where it existed, not liberal enough to instil it where it didn’t. The problem with Central European liberal anti-nationalism is not that it went too far, but that it never really existed. Pretending anything else risks blunting the efforts of emerging movements in the region, comprised mainly of younger people, now challenging illiberal assumptions that have defined the parameters of practically all political competition since 1989. Seán Hanley is Senior Lecturer in Comparative Central and East European Politics at UCL-SSEES. James Dawson teaches political science in the War Studies Department KCL. 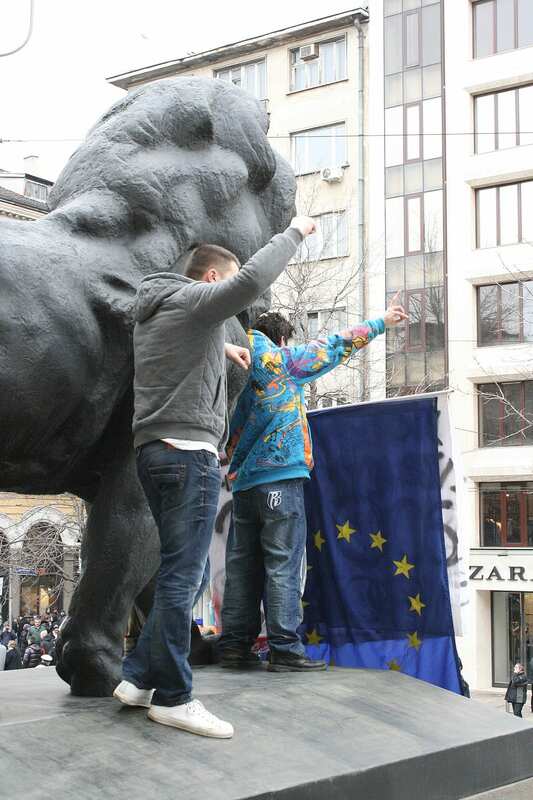 Their co-authored article on nationalism and the limits of pro-European liberalism in East-Central Europe is forthcoming in JCMS: Journal of Common Market Studies. They have also previously written on ‘Fading Mirage of the Liberal Consensus’ in the region in the Journal of Democracy.